When it comes to the rumor/speculation mill, separating fact from fiction is an art that takes some time to master. Given the nearly countless amount of sources out there, we’ve seen a plethora of information surface with regards to flagship smartphones and tablets, and while some get confirmed at launches, others bite the dust. That being said, today some more information has surfaced on what to expect from Apple’s end for the iPhone 7 and the iPhone 7 Plus and we’d be inclined to believe this particular tidbit. When it comes to its flagship smartphones, Apple has an interesting method of introducing changes and upgrades. Each generational upgrade of the iPhone brings with it new components, design and features, which Apple then refines on the ‘S’ lineup of the smartphone. In contrast, the Android world is generally keen to keep the specification upgrade cycle running continuously, with each year’s launches bringing new, improved devices on board. With the launch of the iPhone 6 and the iPhone 6 Plus, Apple finally introduced a much needed change on the iPhone lineup in the form of upgraded LCD panels and subsequently, the iPhone 6s and the iPhone 6s Plus saw resolutions being ignored completely. Now, some statements by Apple’s display supplier, Japan Display might hint towards the Cupertino manufacturer making much needed display upgrades on the iPhone 7 and the iPhone 7 Plus. 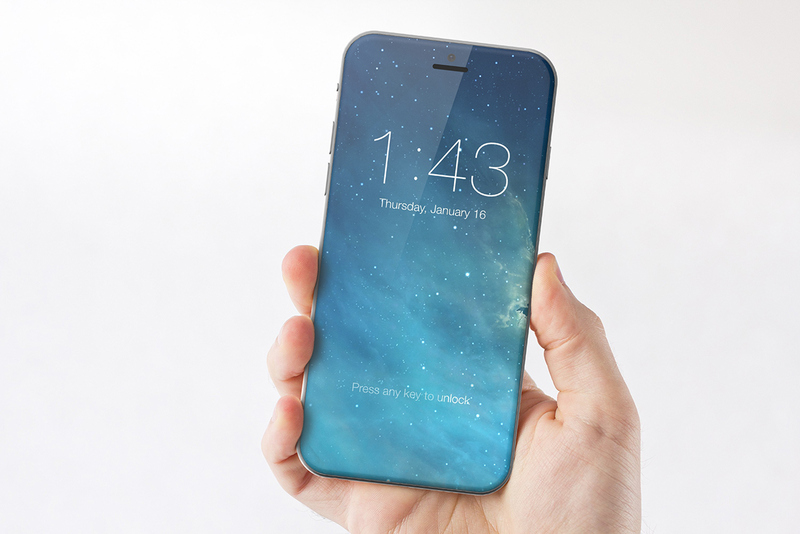 The current lineup of iPhones from Apple use JD’s first generation Low Temperature Polysilicon backplanes and the company intends to introduce second generation LTPS backplanes this year. A backplane on an LCD is critical for determining the panel’s power consumption and resolution and an upgrade in this end from Apple should leave plenty of options open for the company to make display upgrades on the iPhones. 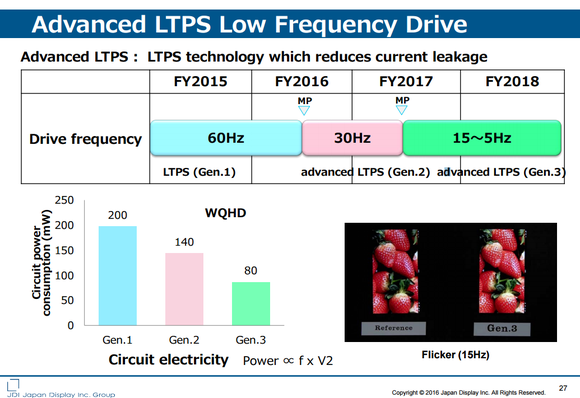 Operating at 60Hz, the second generation backplane from Japan Display will consume 30% less power when compared to its predecessor, as can be seen in the image above. Furthermore, not only should these power savings provide ample motivation to Apple for increasing display resolutions on the iPhone 7 and the iPhone 7 Plus; higher resolutions with an improved LTPS backplane would ensure power consumption remains constant but will also open the doors for improvements on the iPhone 7s and the iPhone 7s Plus. After increasing the display resolutions on its 2016 flagship smartphones, something which Apple should be forced to do if it wants to remain competitive, the third generation LTPS backplanes from Japan display should allow Apple to introduce other upgrades with a higher resolution; something which fits in nicely with Apple’s preferred methods. Thoughts? Let us know what you think in the comments section below and stay tuned for the latest updates.